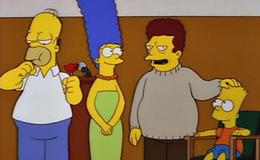 The Fifth season of the Simpsons began on September 30th, 1993 with the episode Homer's Barbershop Quartet , and ended on May 19th, 1994 with the episode Secrets of a Successful Marriage. 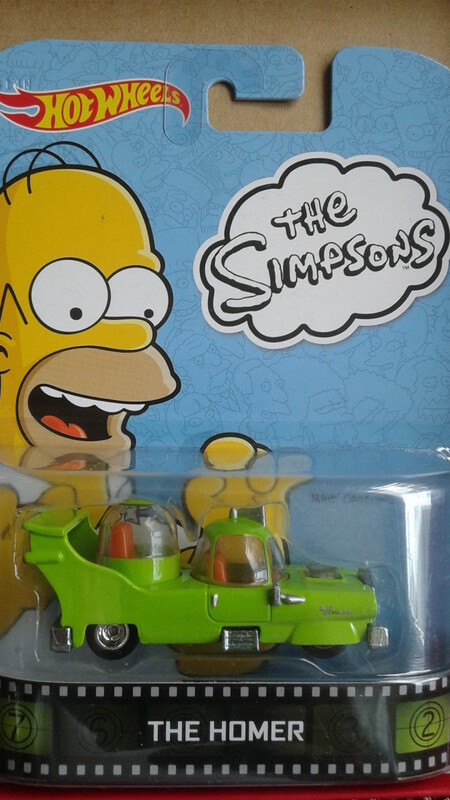 Memorable moments include Bart winning an elephant from a radio contest and Homer's trip to space. While at a flea market the Simpsons find an old record with Homer on the cover. Homer then tells the kids the story of how he was once a singer-song writer in a group known as the B sharps. Originally the group members were Homer, Apu, Principal Skinner and Chief Wiggum. Homer then explains how they were discovered by a producer at Moe's Tavern, who convinced them to replace chief Wiggum with Barney. The group enjoyed reasonable success until Barney starts dating a Yoko Ono like woman and the band's problems end up ending their career. 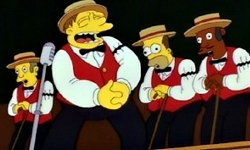 At the end of the episode the four former band members meet on top of Moe's and sing one last time for old time's sake. Bart receives death threats via mail and the Simpsons soon discover that Sideshow Bob is behind the letters. When Bob is released from prison the family is put into the witness protection program and they become the Sampsons. However Bob has secretly tags along in order to exact his revenge and surprises the family while they are sleeping so that he can finish off Bart. Unable to escape as the family's house boat travels down the river, Bart insists his last request is to hear Bob sing a whole musical--as a result just before he is able to kill Bart the boat slams into the river bank right in front of the Springfield Police, who arrest Bob once again for attempted murder. 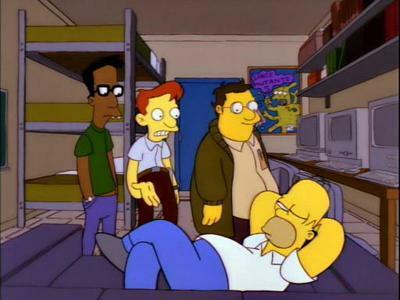 In order to keep his job at the nuclear plant Homer is forced to attend college. While he envisions his college experience being like the movie Animal House, Homer finds out that it college life isn't what he expected. After persuading his nerdy tutors to kidnap a rival football team's mascot their lives are nearly ruined when they are close to being permanently kicked out. However Home manages to make things right and manages to pass his exam enabling him to keep his job. When Mr. Burns has a large birthday celebration (featuring a performance by the Ramones), he realizes he misses his childhood teddy bear, Bobo, who has been lost for years. By coincidence Bart is sent to pick up a bag of ice that ends up containing Burns' lost teddy bear, which Bart gives to Maggie. 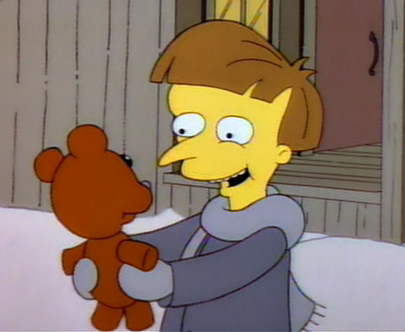 Once Burns discovers that Maggie Simpson has his bear he attempts to intimidate the family into giving it to him. In a last ditch attempt Burns tries to take the bear from Maggie and fails. However Maggie feels sorry for him and decides to give him Bobo. 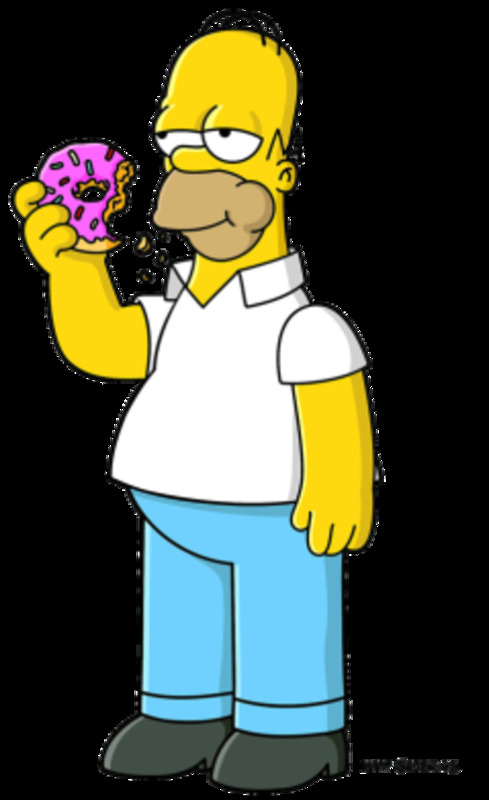 In the first story Homer discovering that all the donuts at work are gone he states he would sell his soul for a doughnut, prompting the devil who has taken the form of Ned Flanders to offer him such a deal. 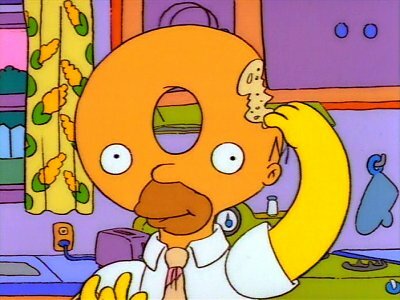 Homer thinking he is clever does not finish the doughnut at first but on a late night trip to the fridge eats what was left and finds himself on trial to keep his soul, which he does with Marge's help. In the second tale Bart has a terrifying nightmare predicting his death and later sees a Gremlin who is trying to sabotage the bus but no one believes him. In the end Bart manages to drive off the Gremlin with a flare saving everyone on the bus ---but even though he was telling the truth he is sent off to the mad house. 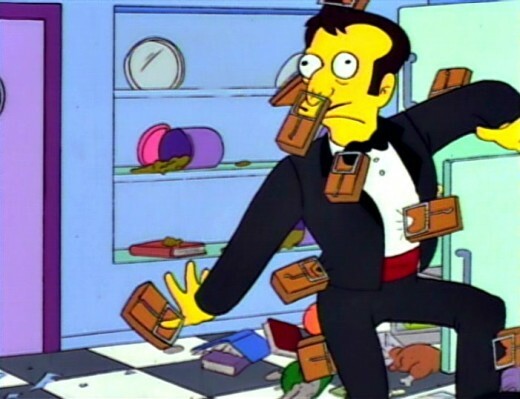 The third story stars Mr. Burns as Dracula. After inviting the Simpsons to his mansion for dinner, Bart is transformed into a vampire and at first no one will believe Lisa. The rest of the family goes to kill the head vampire, Mr. Burns, in order to free Bart. Mr. Burns is killed but Bart remains a vampire as it is revealed Marge is actually the head vampire. 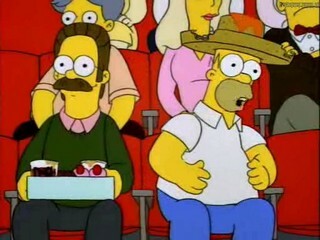 When Homer backs out of going to the ballet with her Marge asks her neighbour Ruth Powers to come along. The two become close and later Marge and Ruth go on a girl's night leaving Homer with the kids. When Chief Wiggum tries to pull her over Ruth keeps on driving and reveals to Marge that she stole the car from her ex-husband who hasn't been paying child support. Being chased by the police Ruth nearly drives the car over the Springfield Chasm. Homer and Chief Wiggum however aren't able to stop on time and drive over the edge but luckily land on a large pile of garbage that people having been dumping. When Homer buys a trampoline and several neighbourhood kids get injured Marge buys a tape to help them communicate better to keep Homer from future impulsive buys. When the tape's host Brad Goodman comes to Springfield Marge buys tickets for his self-help seminar. Marge hopes Goodman will fix Bart, however Goodman insists that Bart is in touch with his inner child and that the rest of the town should be like Bart. The results of Goodman's advice is completely disastrous. 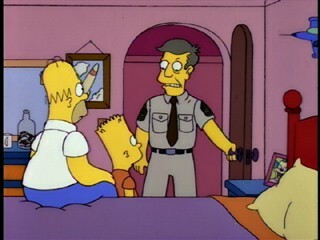 After a squishy bender Bart and Milhouse wake up to discover they have joined the boy scouts. 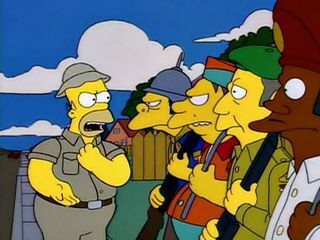 Later Bart decides not to quit as he can use the boy scouts to get out of class. 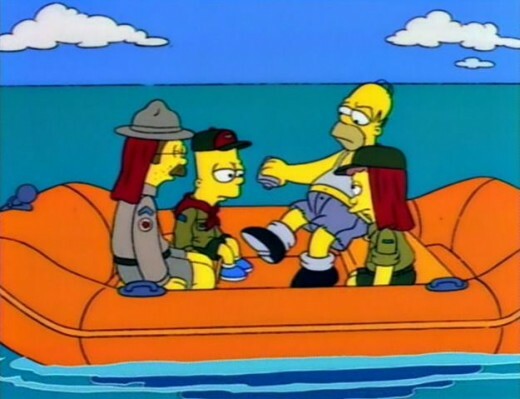 When the boys scouts go on a father-son camping trip Homer comes along and he and Bart end up in the same boat as the Flanders' as Ned is the scout leader. When they drift out to sea it seems all hope is lost but Homer who is to blame for the situation gets them out of it due to his nose. 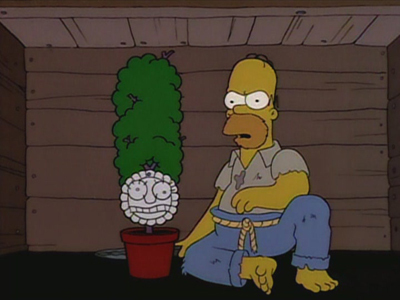 Due to the plant being required to hire a female worker, Homer has a new co-worker, Mindy Simmons who is like a beautiful female version of himself. Homer finds himself developing feelings for Mindy and tries to avoid her but is unable to when they are sent to a convention together. Despite the struggle in the end Homer makes the right decision and invites Marge to come spend time with him at his hotel. 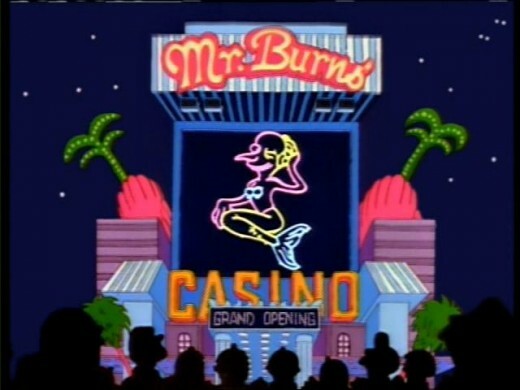 In an attempt to revitalize its economy, Springfield, legalizes gambling, prompting Mr. Burns to open a casino. 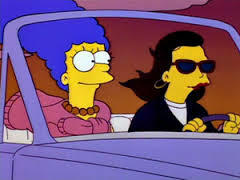 While Burns becomes more and more similar to Howard Hughes, Marge becomes a gambling addict leaving Homer and the kids to fend for themselves. After Marge breaks her promise to help Lisa with her costume for a second grade pageant, Homer confronts her and she admits she has a problem. After a cat burglar hits Springfield and takes Lisa's saxophone, Homer vows to catch him and starts a group of local vigilantes that at first only succeed in committing crimes themselves. After Homer and his team fail to stop the theft of the world's largest zirconium from the Springfield Museum, they are led to the thief by Grandpa who reveals that the suspect is a resident at the retirement home. 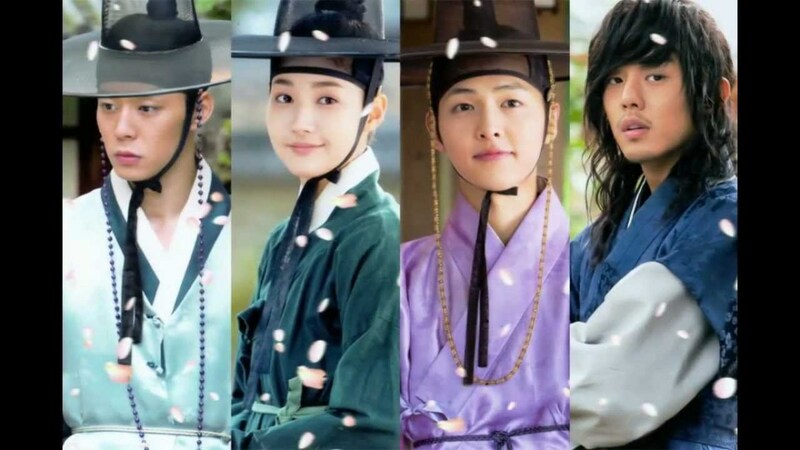 The thief then makes an escape from jail by sending the town on a search for hidden money that doesn't exist. When Bart gets a job as Krusty the clown's assistant he soon is given a part in a sketch, which he screws up. 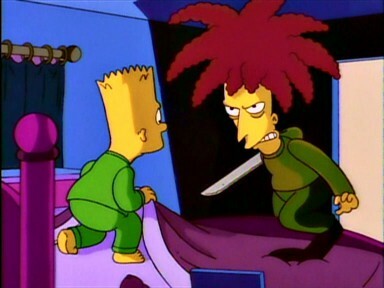 However in spite of this Bart becomes a hit due to his new catch phrase: "I didn't do it!" 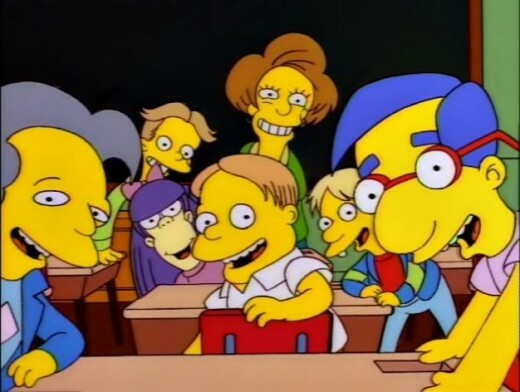 At first Bart enjoys the fame and the attention but after awhile he gets sick of being known only for one line and repeating it for the enjoyment of class mates and members of the public. Almost to his relief one day on the Krusty show Bart says his line and discovers no one thinks its funny anymore. 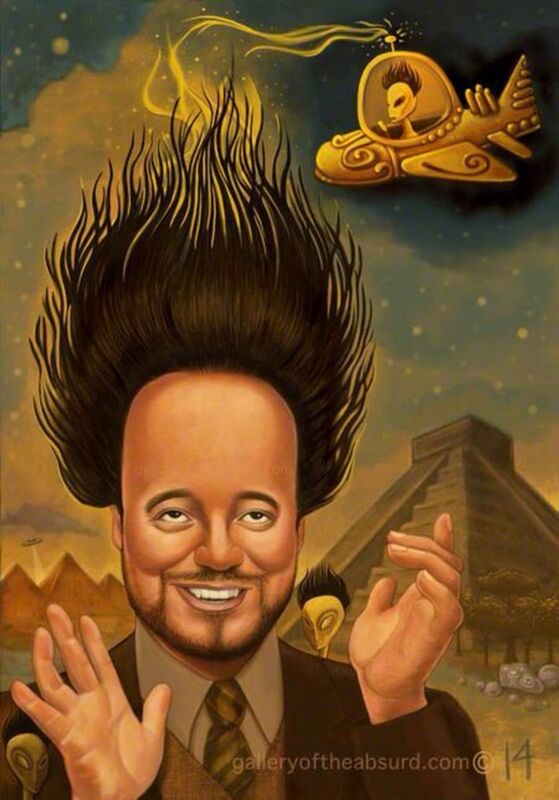 He loses his place on the show and life goes back to normal. 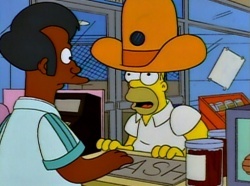 After becoming ill from tainted meat from the Kwik-E-Mart, Homer goes undercover in order to get justice. Apu loses his job and Homer lets him live with the family. Later feeling guilty Homer goes to India in an attempt to help Apu get back his job but Homer ends up screwing it up. In the end Apu gets his job back when his replacement quits. At first when the new Malibu Stacy doll is released Lisa is excited, until she hears it talk. 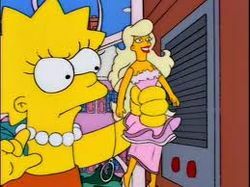 Upset by the doll's sexist spouting, Lisa tracks down the creator of Malibu Stacy with the help of Mr.Smithers, who is Springfield's biggest Malibu Stacy collector. Together the two create a doll meant to be a positive influence on girls, which they named after Lisa. The doll ends up being relatively unsuccessful as girls still prefer Malibu Stacy. When NASA hopes to get the American public interested in space exploration again they recruit Barney and Homer in hopes of sending an average man to space. They both go through training and it is decided that Barney will go to space. However after it is discovered Barney has a severe drinking problem, Homer is given the job by default. 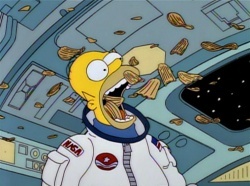 Homer is sent to space with Apollo 11 veteran Buzz Aldrin. Though Homer ends up saving the mission from disaster, the carbon rod he uses gets all the credit. When Ned Flanders invites Homer to go to a football game and gives Homer the game ball. As a result Homer decides he likes Ned and behaves excessively nice towards him. At first everything is going well but Ned becomes increasingly annoyed as time passes. Eventually to Ned's relief Homer goes back to his old ways. 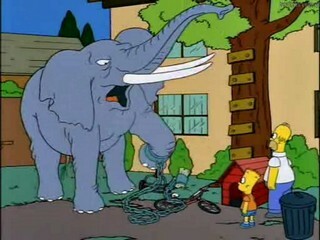 When Bart wins a radio contest he chooses an elephant over the cash prize. Bart names his new pet Stampy and the elephant turns out be ill behaved and out of control. The other pets attempt to get the attention of the family unsuccessfully and as a result feel neglected. In the end after going on a rampage and then saving Homer from drowning in a tar pit, Stampy goes to live at an animal refuge. After realizing he has no one to continue his legacy Mr. Burns hold auditions in order to find an heir. He is unimpressed with all of the children and it seems that he will not find anyone until Bart who is angry with not being picked vandalizes his mansion, prompting Mr. Burns to decide that Bart is worthy. Mr. Burns attempts to separate Bart from his family by providing him with a lavish life style and having actors portray the family as not missing Bart at all. Despite this in the end Bart gives up the chance to inherit the Burns fortune and returns to his family where he belongs. When Santa's Little Helper gets loose in the school the havoc that ensues gets principal Skinner fired. Skinner returns to the army and Ned Flanders takes over as principal. At first Bart enjoys Ned's easy going ways but soon feels guilty for costing Skinner his job, as he sees how miserable he is after returning to the army. Bart attempts to get Ned fired but his tactics fail. However when Superintendent Chalmers hears Ned praying over the intercom system Ned is promptly fired for bringing religion into a public school and Skinner is given his old job back. 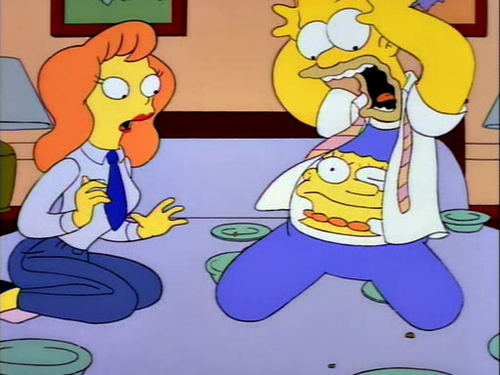 While skipping school Bart witnesses a dispute between a waiter and Mayor Quimby's nephew Freddy. Later Freddy is accused of beating the waiter and it is taken to trial. Homer ends up in the jury and gets all the freebies he can from the experience, including the hotel furniture. Meanwhile Bart struggles with his conscience over whether he should remain quite or tell the truth and save Freddy and take his own punishment for skipping school. In the end Bart does what's right. Marge's Mother is courted by both Grandpa Simpson and Mr. Burns. She almost marries Mr. Burns but after he reveals his true personality at their wedding she refuses. However she doesn't want to marry Grandpa either, which is fine with him and they ride away from the church together in a public bus. After Homer gets kicked out of an adult education class he decides to teach one instead. As an instructor for a marriage course Homer reveals the secrets of his own marriage enraging Marge. As a result Marge kicks him out of the house and he is forced to live in Bart's tree house. Out of loneliness he prunes a plant to look like her hair and adds a paper plate with a face in attempt to replace her. Marge finally takes Homer back when he promises never to betray her in such a manner again. Which Season 5 episode in your favourite? Comment below.